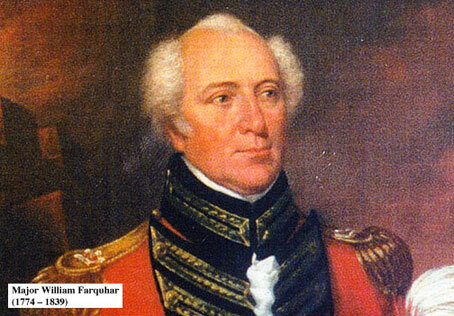 I have always been surprised by the lack of recognition in Singapore for its co-founder William Farquhar. Please correct me if I am wrong but I cannot find a street or place named after him anywhere in the city. The long experience and peculiar qualifications of Major Farquhar, the late resident of Malacca, and his late employment at Riau and Lingga, eminently fit him for the command of the post which it is desirable to establish, and the local superintendence of our interest and affairs. While the British Resident in Malacca from 1803 to 1818, William Farquhar had established friendly relations with the Temenggong Abdu’r-Rahman of Johor. Knowing that the Dutch would soon be returning to the Strait of Malacca after the hand-over of Java and its dependencies by the British in 1816, he concluded an agreement with the Temenggong (A Malay Chief) allowing the British to establish a settlement in the Riau Islands. Subsequently the Dutch had installed their Resident in the Riau Islands and forced the Temenggong to annul the agreement with Farqhuar. It was Raffles and Farquhar who landed together at the Singapore River on 29 January 1819. The Temenggong who lived nearby came out to welcome his old friend William Farquhar. Introduced to Raffles, he told them of the current dispute within the Johor-Riau Sultanate. In 1810 the Sultan of Johor had died, his eldest son Tengku Long was his successor; however, the powerful Bugis faction in the Johor-Riau court exploited Tengku Long’s absence at his own wedding to declare his more compliant younger brother as Sultan. The Honourable Sir T.S.Raffles, Lieutenant-Governor of Bencoolen and its dependencies, Agent to the Governor-General is pleased to to certify the appointment by the Supreme Government of Major William Farqhuar of the Madras Engineers to be Resident and to command the troops of Singapore and its dependencies and all persons are hereby directed to obey Major Farquhar accordingly. Farquhar with his long experience in Malacca was an effective Resident of Singapore for the next four years until churlishly dismissed by Raffles on 1 May 1823, just before his term was about to end. During his twenty years in Malacca and Singapore, William Farquhar amassed a unique collection of 477 paintings of native flora and fauna especially commissioned from local artists. 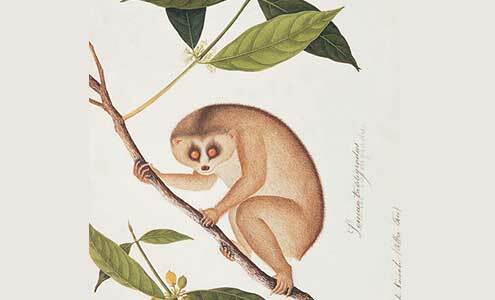 The William Farquhar Collection of Natural History Drawings was presented to the Royal Asiatic Society London in 1827 where it remained until put up for auction in the 1990’s. Thanks to the generosity of Goh Geok Khim, founder of the brokerage firm GK Goh, the collection was purchased for S$3 million in 1995 and donated to the Singapore History Museum in honor of his father. 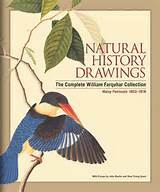 The William Farquhar Natural History Collection is now listed as one of the National Treasures of Singapore. For those interested in knowing more about the founding of Singapore, the book or e-book of East Indies is available on order from your favourite bookstore, or the usual online retailers. This entry was posted in Uncategorized and tagged goh geok khim, national museum singapore, singapore, singapore national treasures, stamford raffles, william farquhar. Bookmark the permalink.